Kerala MBBS/BDS Admission 2018 is organized by Commissioner for Entrance Examination (CEE), Kerala. The first seat allotment details of Kerala MBBS counselling has been released. Candidates who are eligible for Kerala MBBS/BDS admission are included in Kerala MBBS allotment list. Aspirants can download Kerala MBBS first allotment result from the link provided on this page. Along with that, Kerala MBBS/BDS last merit rank has also been released. Aspirants included in the seat allotment result must report at the allotted colleges for Kerala MBBS/BDS admission 2018. Such candidates are required to carry the relevant original documents and a set of photocopy for verification purpose only. Kerala MBBS/BDS counselling 2018 is done on the basis of state merit rank, preferences of colleges as well as courses and seats available. Around 3450 MBBS and 1974 BDS seats are offered through Kerala MBBS/BDS 2018 admission. Read the article Kerala MBBS/BDS admission 2018 counselling, seat allotment result and more on this page. Latest Update: Kerala MBBS/BDS 2018 Seat Allotment Result has been released and can be downloaded from the link provided below. NEET UG has been conducted on 6 May for admission to around 90,000 MBBS and BDS seats across India. From all government colleges, 15% seats are reserved for admission to All India Quota aspirants, which will be filled through Medical Counselling Committee (MCC). While the remaining 85% seats will be allotted by respective state counselling authorities. CEE, Kerala will prepare a separate Kerala MBBS/BDS merit list 2018containing the state merit rank, name and scores of candidates. In order to be eligible for Kerala MBBS/BDS admission 2018, candidates must secure the minimum qualifying percentile set by CBSE. For General category aspirants, the qualifying percentile was 50, while that for SC/ST/OBC, it is 40 percentile. Check the important dates of Kerala MBBS admission 2018 from the table below in order to missing crucial events related to the admission procedure. Candidate should be an Indian resident of Kerala origin. Persons of Indian Origin (PIO)/Overseas Citizen of India (OCI) will also be considered as Indian citizens for the limited purpose of admission and any kind of reservations will not be available for their admission. The candidates will be further categorised into three i.e. 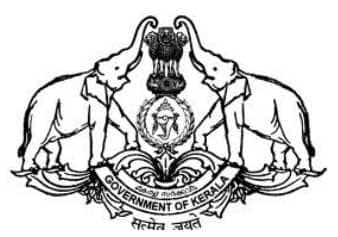 Children of All India Service (AIS) Officers (Non-Keralites) allotted to Kerala Cadre are deemed to be ‘Keralites’. Such candidates have to show the proof of their father's or Mother's birthplace which should be Kerala. A candidate who has undergone the qualifying course in Kerala and who is son/daughter of Non-Keralite parents belonging to Govt. of India/Defence Service, posted to Kerala. A candidate who has undergone the qualifying course in Kerala and who is son/daughter of Non-Keralite parents who is serving/served Government of Kerala for a minimum period of two years. A candidate who is not of Kerala Origin but has been a resident of Kerala State for 5(five) years within the period of 12 (twelve) years of his/her study. A candidate who is not of Kerala Origin but who has undergone his/her school studies in Kerala from standard VIII to XII. Non-Keralite Category I candidates will be considered against ‘State Merit’ seats for Engineering/Architecture/Medical & Allied courses and they will not be eligible for Communal/ Special/Persons with Disabilities reservation or any fee concession. The ‘Non-Keralite Category-II (NK II) candidates will be considered for admission to the Government seats in Government Controlled Self Financing Engineering Colleges only when the Keralite and Non-Keralite I (NK I) candidates are not available for admission. ‘Non-Keralite Category-II (NK II) candidates are also eligible for admission to Government Seats and Management Quota seats in Private Self Financing Engineering/Architecture Colleges, which will be notified separately. But they will not be eligible for Communal/ Special/ Persons with Disabilities reservation or any fee concession. ‘Non-Keralite Category-II (NK II) candidates are not eligible for admission to Medical and Allied Courses including MBBS/BDS and for admission to Government Engineering Colleges. Candidates who have passed Higher Secondary examination of the Board of Higher Secondary Education, Kerala, or examinations recognised equivalent thereto, with 50% marks in Biology/Biotechnology separately, and 50% marks in Physics, Chemistry and Biology/Biotechnology put together, are eligible. In the absence of Biology, Biotechnology will be considered as a subject for academic eligibility. Candidates need to appear in the NEET 2018 Exam which will be used as the standard Exam for the admission to MBBS/ MDS and medical Allied Courses. To qualify and thereby become eligible to figure in the rank list for Medical & Allied Courses, a candidate has to score a minimum of 20 marks in the NEET-UG 2018. However, the SC/ ST candidates do not require any minimum marks in the NEET-UG for admission to Medical and Allied Courses. Candidates with Locomotory disability of lower limbs between 40% to 70% need only 45% marks in case of Biology/Biotechnology and 45% marks in case of optional subjects put together for admission to MBBS course. Candidates belonging to PD Category will have a relaxation of 5% Marks in Engineering & Medical Allied Course except BDS i.e they need 45 % marks in the case of Mathematics/Biology and 45 % marks in the case of Mathematics/Biology, Physics and Chemistry in aggregate. Candidates belonging to SC/ST categories need 40% marks in Physics, Chemistry and Biology/ Biotechnology put together in the qualifying examination. From last year onwards, the Government of Kerala invites admission to Medical courses, Agriculture, Fisheries, Veterinary on the basis of NEET Scores and admission in Architecture course on the basis of NATA scores. Although, KEAM exam will be held for admission in the engineering courses only. However, the candidates have to mandatorily fill KEAM Application Form for the counselling which will be released by the Commissioner of Entrance Examinations (CEE), Kerala. Aspirants who have filled the application form can now submit their NEET scores in Kerala MBBS/BDS application form 2018. The procedure for submitting of NEET scores in the online registration form is mentioned below. The payment of the KEAM Application Form for Medical & Allied courses is to be paid by the applicants in online mode only. Applicants are required to fill and take the printout of the confirmation page after the successful payment. Applicants can pay the application fee via Debit card, Credit card, Net Banking or using E-Challan Option. Note: ST candidates whose annual family income is below Rs.40,000 are exempted from payment of application fee. The fees for the various courses in Govt./ Aided Colleges gets fixed by the Government, from time to time. The fees given below is of the last year. The fee for the current year will be soon updated on this page. Candidates will be shortlisted on the basis of Kerala MBBS/BDS 2018 Merit List. Separate Kerala MBBS Rank list will be prepared for the given below subjects. The candidates appearing in the Engineering Entrance Exam must have to score the minimum of 10 Marks to find a place in the rank list (Not required to score minimum marks, however, if any candidates fail to answer any question will be treated disqualified). Admission into MBBS/BDS Course will be done on the basis of the NEET merit score. The Commissioner of Entrance Examinations will prepare the Kerala state rank on the basis of NEET score, however, the applicants will be allotted seats in the Centralised Allotment Process (CAP-2018). Aspirants can check the counselling result of Kerala MBBS/BDS from the link provided below. Candidates included in Kerala MBBS seat allotment round 1 result are required to report at the allotted college for document verification and completion of admission process. Admission to Kerala MBBS/BDS Colleges will be conducted on the basis of NEET 2018 Exam whose Exam pattern is given below along with its syllabus. NEET 2018 will be conducted in pen and paper mode only and the total duration of the exam will be 3 Hours. Marking Scheme: Four Marks will be awarded for each correct response. There is Negative Marking in NEET 2018 exam and one mark will be deducted from the total score. The medium of Exam: NEET 2018 will be conducted in 10 languages that are Hindi, English, Bengali, Assamese, Oriya, Gujarati, Marathi, Tamil, Telegu and Kannada. 24 HOURS HELPLINE NO: 155300 From BSNL network. 0471-2115054, 2115098, 2335523 From other networks.